Date posted: May 21, 2015 by: JasonDarkX2 Category: Gaming 6 comments. OH no EA is throwing another Need for Speed game for this year in time for its annual release then plans to take a year off. Umm... who’s still keeping up with this series? My last memorable Need for Speed game was 2005 Need for Speed: Most Wanted and that was like 10 years ago. Fear not, true believers this time around EA is doing a donut and completely turning the franchise around once again with what was announced earlier today as a “Full reboot” of the series. Hopefully it will do better than its last ten incarnations and attempts in the last 10 years. You could be glad to know that this reboot of Need speed will be inspired by the Underground series, which made the series popular 10 years ago with NFS Underground 2. "Need for Speed is one of the most iconic names in gaming, and we're returning it to greatness in this reboot," said Marcus Nilsson, Executive Producer at Ghost Games. "Pulling on our 20 years of history, and then taking a year out from releasing a game, we are making the game we've always wanted to. We're listening to the fans and delivering an experience that will capture their imagination and unleash their passion for cars and speed." This reboot will promise to deliver Deep Customization, Authentic Urban Car Culture, Open World, and Immersive Narrative. Need for Speed will launch worldwide in Fall 2015 on Origin™ for PC , PlayStation®4 computer entertainment system and Xbox One. 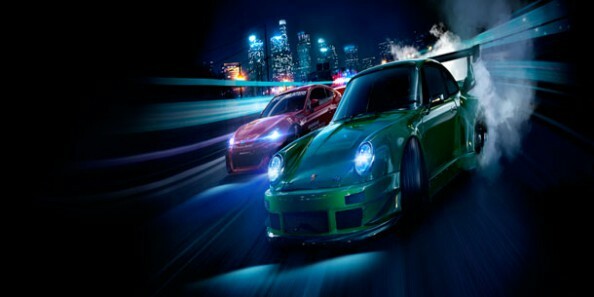 The full trailer of Need for Speed will be shown on June 15; 2015.We can expect to see more of Need for Speed at this year E3. So what do you guys think? Excited, yay or nay? me Personally just really want an NFS underground type of racing game like the good old days. OMFG I laugh so hard reading the comment section. So many NFS fans trololo, if they make it underground 3, they need to put in a fully customizable toyota Prius as a starter car. Please take as much time you need EA. We really don’t need a NFS every year. Now stop :O then wiggle wit ya! Get Low, Get Low, Get Low…..